Indians with blonde hair: Should or should not? Changing hair color is an effective and easy way to gain more attractiveness with our new appearance. There are many colors we can think of when attempting to dye our hair and probably, blonde is the first thought. Blonde hair can be seen anywhere, on anyone but when we think of Indians with blonde hair, the question of should they go with that hair color arises. Let’s look further into this issues and find out the answer. 1 What leads people to the thought that Indians with blonde hair is a bad idea and what is the real matter? What leads people to the thought that Indians with blonde hair is a bad idea and what is the real matter? It is a common sense that golden hair or blonde hardly go with dusky, dark skin of Indian women or even men, however, that is not totally true. 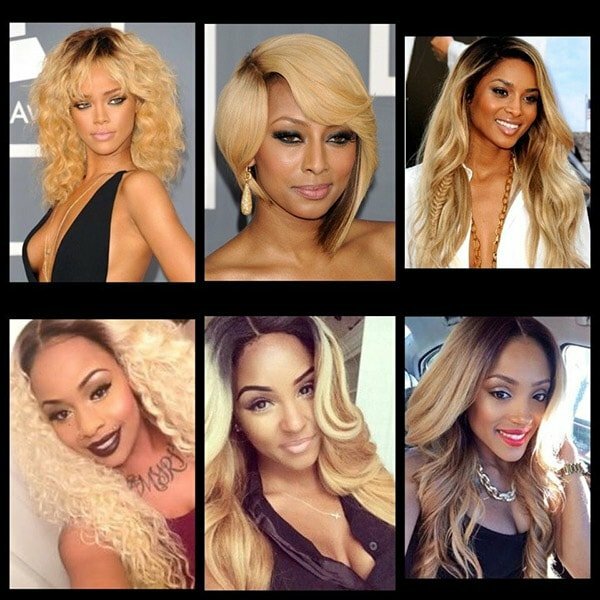 I can take Rihanna or Beyonce as great examples showing that dark skin women can go perfectly with blonde hair. Indian women are in the situation of taking pressure from ‘’what people think’’. They afraid that blonde hair makes their tanned skin darker, but to think deeply, that’s not such a bad thing. Women with sun-kissed skin can take advantage of that blonde hair to make their skin even more gorgeous, they just need to choose the best color that fits. Yes, that’s the answer, I hold the belief that Indians with blonde hair is not a bad idea. Yet, before going to dye hair with blonde or other bright colors, you need to know some facts about Indians skin tones and blonde colors. No matter dark or light the skin may be, it is the skin’s undertones that matter. In other words, whether the skin is cool or warm can put huge impact on hair color decision. You can know whether your skin is warm or cool by testing your skin under the sunlight. If you turn red and burn in the sun, which means you oppose to tan, probably you have cool undertones. In contrast, if you tan, your skin’s undertones may be warm. So for those Indians with blonde hair, I can give several suggestions of blonde color based on different undertones. Those possess pink or red undertones, ashy pale blonde can be the best solution since it can harmonize that pink or red color of skin. For those with olive or cool skin or even deeply dark skin, strawberry blonde, honey blonde or caramel blonde is highly recommended. To come to yellow undertones skin, cool-toned blonde colors may be the best ones because those color won’t wash out the skin. Rather than skin’s undertones, those Indians with dusky skin need to choose suitable colors based on their eyes colors as well. While hazel eyes go well with light blonde color, brownish black eyes are recommended with dirty blonde. For golden brown or green eyes, warm toned color like copper-toned blonde or strawberry blonde can be the ideal colors to go with. If you find hard choosing one blonde color that fits, get some advices from professional makeup artist or someone with good a good eyes for colors. From many suggestions above, I have listed out many shades of blonde color. From honey blonde, copper-toned blonde, light blonde to dirty blonde, they are all blonde. In other words, do not think that Indians with blonde hair is a bad idea by totally rejecting all the blonde colors assuming that they won’t suit you. As I have mentioned above, it is totally wrong to reject all the blonde colors on the Indians with dusky, dark skin tone. There are many shades of blonde color or bright color that supporting the idea of Indians with blonde hair. This is probably the safest color to choose. However, once again, I need to emphasize the importance of undertones. If you have warm undertones, go for ash brown blonde while if you have cool undertones, colors such as mahogany maybe ideal. Honestly, for those Indians with blonde hair, golden blonde is not such a good idea. The reason is that the golden blonde color can make dusky, olive skin women look sickly and pale. I do not say that golden blonde does not match Indians skin tone but making this color look good is quite tricky. 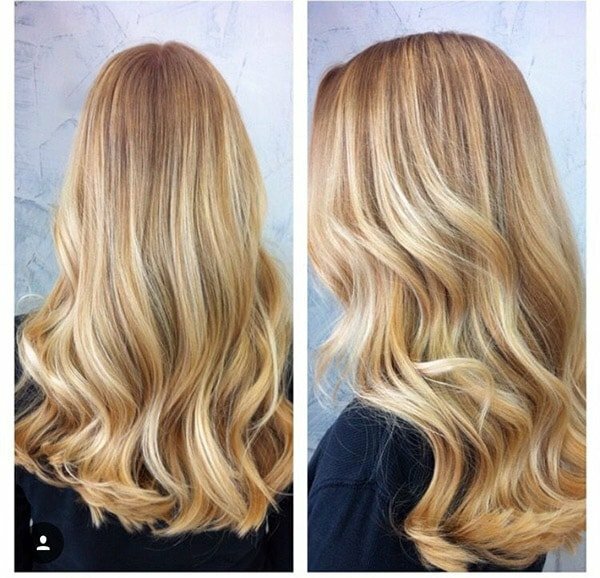 So, my recommendation is that go for golden blonde but not the full head, just have them in highlights or streaks. Another reason why this blonde color should not be applied fully on the head itself is that such gold color can do serious damage to hair health as the hair can easily bleach post dying. Another tricky color that those with Indians skin tone need to be cautious. There are many shades of red but it is really hard to choose out one. 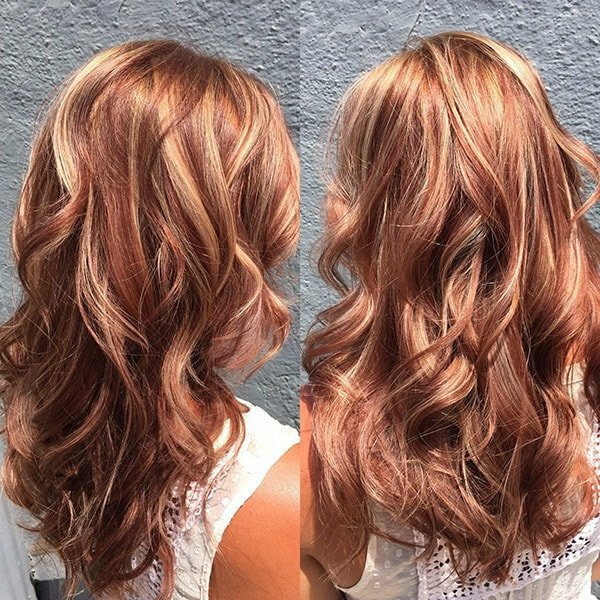 For olive, sun-kissed skin, light red blonde can be ideal since it makes the dark, olive skin even stand out more gorgeous. However, there is one thing about red color that needs serious caution is that those with red undertones should not go with red. The reason is very simple since the red blonde color will make an overdose of redness in the look. There are many other types of blonde color that goes well with Indians skin tone but i just list out the most common 3 that best fit. Besides the color, I want to note a very important tip for those in favor of Indians with blonde hair, which is the quality of hair. For most Indians who want to dye their hair into blonde, they need to bleach their hair many time, which weakens the hair health as it is damaged and becomes straw-like. As a result, even if they choose the right color that fits the low-quality hair really ruins the look. The solution to tackle the problem is to keep keratin handy conditioners as well as shine serums to maintain hair strength even after dying process. So now you know that Indians with blonde hair is not that a good idea, right? They can totally look gorgeous in such hair color but cautions need to be taken into considerations too. Try to choose the best color that fits your dusky, dark skin but also do not forget to keep hair health in good condition. https://beladyhair.com/wp-content/uploads/2018/11/indians-with-blonde-hair-5.jpg 394 600 Peter https://beladyhair.com/wp-content/uploads/2018/06/logo-moi.png Peter2018-11-24 02:59:072018-11-24 02:59:07Indians with blonde hair: Should or should not?